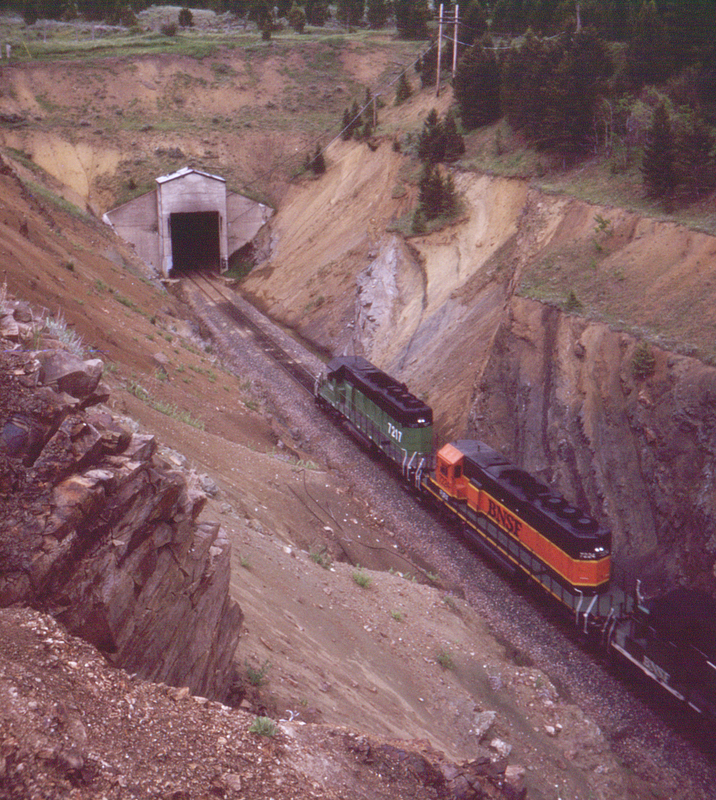 This eastbound Burlington Northern Santa Fe freight on the Montana Rail Link (former Northern Pacific) is about to enter the west portal of Bozeman Tunnel. On the other side of the bore will be Livingston, Montana, at one time the main shops complex for the Northern Pacific. Although the BNSF merger occurred at the end of 1996, lead unit no. 7217 remains in Burlington Northern colors. The original Bozeman Tunnel is out of sight to the right.